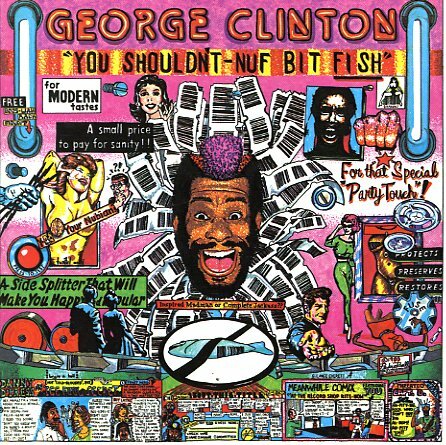 Great solo work from George Clinton – but a set that's still done in the best late 70s modes of Parliament and Funkadelic! Clinton's clearly more comfortable in the lead here – that new spotlight presence he adopted on the Computer Games album – but he also draws heavily on the sound of the whole ensemble, who refine their P-Funk approach with some slight 80s modes – still showing that although George influenced so many other funk acts during these years, he can still craft a groove better than anyone else! Tracks are nice and long, and filled with Clinton's strong sense of humor – and titles include "Nubian Nut", "Last Dance", "Quickie", "Stingy", "Silly Millameter", and "You Shouldn't Nuf Bit Fish". © 1996-2019, Dusty Groove, Inc.